As we look forward to 2014, MAG Ireland would like to take this opportunity to thank you, our members, for your dedication to defending our rights as riders. 2013 was another landmark year for MAG Ireland. There were further significant changes to our structure and operation as we continue to adapt the organization to better represent Irish riders at all levels. So as we face into 2014 and look forward to new challenges we pause to reflect on the past twelve months as seen through the eyes of your representative organisation. Here then is our traditional review of the year with links to relevant posts in italics. We began the year with guest posts by Tony Moore (Blood Bike East) and Justin Roberts (Race the Rás). Both contributors brought their expertise and insight to the MAG Ireland audience as part of a series of guest posts which aimed to broaden the content of the MAG Ireland web site particularly in relation to the promotion of motorcycling by showcasing the positive contribution we as riders make to society as a whole. We also welcomed the introduction of the plastic card licence having previously represented riders as part of the consultation process. February saw us gearing up for the RDS Bike show as we teamed up with Cotter Motorcycles who sponsored some fantastic prizes. We were also kept busy working on our response to the RSA’s consultation on post registration vehicle modifications which contained eight motorcycle specific areas including frame and suspension alterations, modified exhausts and specific mention of trikes. 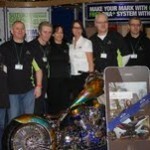 The Carole Nash Irish Motorbike & Scooter Show was the venue for the launch of the new MAG Ireland smart phone app, the first of its kind for any riders organisation in Europe. Aimed at iOS and most Android phones, the app was sponsored by Carole Nash with content provided primarily by MAG Ireland. The show also saw the public launch of our new branding which was well received by visitors and exhibitors alike. April opened with news of the formal launch of Blood Bike East while we on the MAG Ireland team continued to deal with the Roadworthiness Testing proposals making their way through the machinery of the EU institutions. April 22nd saw us announce the resignation from the board of one of MAG Ireland’s longest serving members when Treasurer and office manager Linda O’Loideoin decided to call it a day after more than fifteen years of hard graft on behalf of Irish riders. Elsewhere we published our response to the vehicle modifications consultation. A spell of fine Summer weather saw us attending many events as the biking season got into full swing in May. We also continued to run our meet and greet evenings with various clubs and dealers thanks to the dedicated efforts of our volunteers. The biggest news story of the month was without doubt the announcement of the Non Use of Motor Vehicles Bill which would see the introduction of a statutory off road notification for unused vehicles and close a loophole which, according to Government, saw €55 million per annum lost to the exchequer. 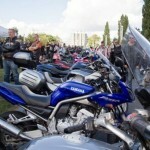 The EU Parliament TRAN committee voted motorcycles out of the roadworthiness testing proposals citing lack of evidence. We celebrated the result as a victory for common sense, but warned defeat would not be taken lightly by the Commission. In a busy month we were catching the sun at Ireland Bikefest Killarney, the MEP ride out in Brussels and National Ride to Work day among others. We closed the month with the announcement that the Greens and Socialists had forced motorcycles back into the Roadworthiness Testing Proposals with an eleventh hour amendment ahead of the Plenary (final vote) stage. MAG Ireland opened the month with our inaugural “On the Road” Rally in Kilcogy, Co. Cavan with participants enjoying some of the finest Summer weather on record in a relaxed and enjoyable setting. We were delighted to host some of our colleagues from MAG UK and MAG Northern Ireland. Unfortunately the fine Summer also brought with it an increase in motorcycle fatalities and we called on drivers to “Think Bike”. Tragically, the trend was not to be halted and 2013 saw a marked increase from the record lows of previous years. Fresh from the announcement of a new discount scheme for MAG Ireland members, we again focused on the rising trend in casualties. The evidence clearly showed that over half of the accidents involving a motorcycle were the fault of a car driver failing to look properly. Our research of the available figures from all sources showed that distracted driving was a major factor and we called on drivers to put the phone down, look twice and save a life. In what was one of our busiest months this year, we began with a clarification around the rules on dismounting before filling your bike with petrol, before turning to a review of the situation on Roadworthiness Testing. September also saw us hold the MAG Ireland AGM at which members voted through a new constitution which radically overhauled the structure and operation of the organisation with the aim of making it leaner, fitter and better able to adapt to the needs of riders today. There were significant personnel changes also. In a new addition to Bike Buyers Guide, MAG Ireland was afforded the opportunity to explore some of the challenges facing riders today through a page in the magazine. Our opening column looked at the evidence behind the Roadworthiness Testing proposals. Elsewhere we looked at the introduction of the National Driver Licensing Service while on the ground we had a particularly busy stand at the Leopardstown Show. October also saw us launch a formal position statement on distracted driving against the backdrop of a continuing trend in rising casualties. In our second Bike Buyers Guide column, we looked at the attitudes of others – authorities and individuals alike – towards us as riders and how this can affect us every time we go out on two wheels. Having spent much time working with and through FEMA on the Roadworthiness Testing issue, we reported an open letter to MEP’s outlining our objections and demanding an evidence based approach. Here at home we reported on new proposals published by the Speed Limits Working Group. The RSA threw everyone a curve ball with the publication of a list of motorcycles suitable for sitting the learner test. Unfortunately, the list contained many errors and omissions and could not be readily verified. 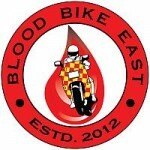 In another of our occasional guest posts, Gordon Kiely took us behind the scenes with Blood Bike Leinster. By far the most important announcement of the year came on the 18th December with news that a workable compromise was reached on the Roadworthiness Testing issue. 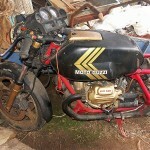 Motorcycles would not be subject to an NCT-style test until at least 2022. We in MAG Ireland welcomed this as a reasonable compromise after more than three years of intense lobbying work and we continue to study the outcomes of that deal. We can be certain that 2014 will be a challenging year. Like all riders organisations across Europe, we’re faced with an aging membership and falling numbers despite increasing demands on our resources. We’ve done a great deal of work over the past three years now to overhaul MAG Ireland and make the organisation more relevant, efficient and effective. We remain the only democratically accountable riders representative organisation in the Republic of Ireland. MAG Ireland exists to promote and protect motorcycling in Ireland. Regardless of what you ride, it’s in your interests to join and support us as we evolve to meet the challenges coming at us. In 2011-2012 the hot issue was Type Approval, and in the end we got most of what we wanted after a long, complex and often difficult process. In 2012-2013 the hot issue was Roadworthiness Testing, and in the end we got most of what we wanted after an equally long, complex and difficult process. In 2014 there are a number of issues which challenge your freedom to ride, not least the RSA’s stated intention to introduce mandatory long-sleeved high visibility clothing for rider and pillion alike. 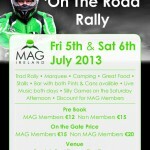 MAG Ireland is a democratic organisation run by riders for riders. All volunteers who serve on the MAG Ireland executive are directly elected at the AGM where all members present have a vote. We cannot do what we do without the support of our members. The more members we have, the stronger our voice, and the stronger yours. If you’re not a member, isn’t it time you asked yourself why? It now costs less than 7 cents a day to make a difference. Click here to join us and help us to meet the challenges ahead. Together, we’re stronger.